Aston Martin will begin development of its first all-electric production car, the Rapide E, by the end of 2019. Limited in production to 155 units, the car will have an 800-volt battery with 65kWh capacity, using lithium ion cells mounted to where the original 12-cylinder Rapide engine and gearbox were located. The battery system powers two rear-mounted electric motors that make the equivalent of 450kW and 700Nm of instant torque, making this the most powerful Rapide sedan available. Rapide E joins a slew of new conceptual and production all-electric luxury vehicles including the Jaguar I-Pace, Mercedes-Benz EQ, the Audi E-Tron, and the Porsche Taycan. BMW has announced an upcoming iVision Next all-electric vehicle, debuting on Saturday; Pininfarina has announced an entire line of electric hypercars arriving in 2020. They are all gunning for the precedent Tesla set when it developed the all-electric (and good-looking) Model S sedan that has cornered the electric luxury car market for years. Aston developed the Rapide E with Williams Advanced Engineering, the technology and engineering services business of the Williams Group. Its goal: orient the otherwise-handsome sedan better toward driving performance. It has newly designed aerodynamic wheels, new Pirelli P-Zero tires, lowered body roll, refined rear-wheel-drive, and reduced cavity noise. It has a top speed of 250km/h and a zero-100km/h sprint time of just over three seconds. More important, said Aston Martin Chief Executive Officer Andy Palmer in a statement, the car will be especially beneficial as a first step toward relaunching the Lagonda brand, which will be a zero-emission marque when it begins production in 2021. The first Lagonda Vision Concepts are expected to get 400 miles on one charge – enough to drive from Los Angeles to San Francisco in one sitting – and have self-driving capability and zero emissions. “It’s meant to feel like moving up to the Concorde from first class,” Palmer told Bloomberg during the last Geneva Motor Show. Hannah Elliott is the resident motoring writer at Bloomberg. 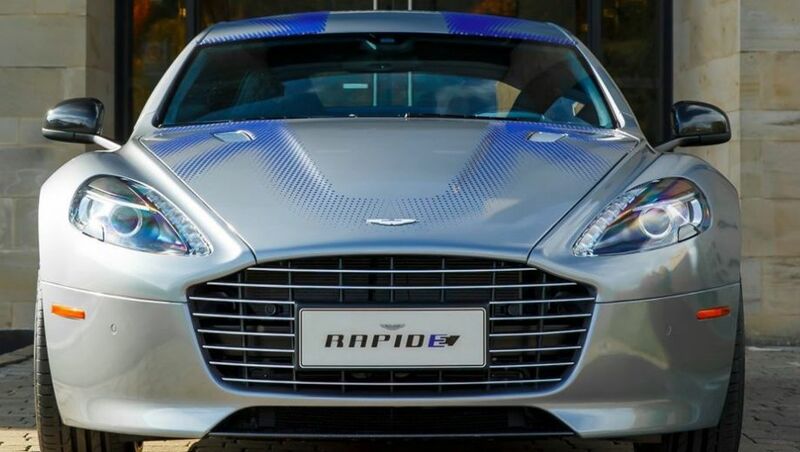 Comment on "Aston Martin's electric Rapide E set for 2019 launch"